Mayor of Paris Anne Hidalgo has been heavily criticised online after posting an homage to revolutionary Che Guevara, calling him a “militant and romantic” icon. Hidalgo posted on Twitter about the Che Guevara Le Che à Paris exhibition that is currently taking place at the Hôtel de Ville in Paris, including a photo of part of the show, featuring the quotation “One must endure without losing tenderness”. In her caption, Hidalgo wrote that Che was a “revolutionary figure that had become a militant and romantic icon” - a choice of words with which many other Twitter users appeared to take issue. Some highlighted the significant violence that took place after the Fall of Havana - which some said appeared somewhat at odds with the ‘tenderness’ quote posted by Hidalgo. Others suggested that calling Che Guevara a “romantic icon” was tantamount to praising controversial and violent leaders such as Mussolini, Stalin or Franco. One tweet even accused Hidalgo of being an “apologist for a Communist criminal”. Hidalgo has not yet responded to the criticism on her original Tweet. The free Le Che show - including work by photographers, artists and sculptors - is still being held by the Mairie of Paris, from December 20 to February 17 2018. It was inspired by the 2017 biography of Che, Che Guevara: Le temps des révélations, written by French journalist and writer Jean Cormier. 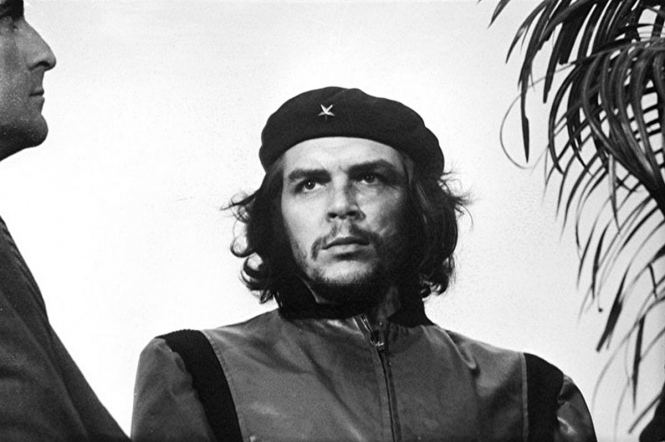 Che, who is credited with playing a key role in the Cuban revolution, was born as Ernesto Guevara in Argentina in 1928 and was executed in Bolivia in 1967. He was said to have been given the name ‘Che’ by then-Cuban leader, the late Fidel Castro.